2. Create a new menu by accessing the Appearance->Menus section. 3. Add whatever pages, posts you want in the menu by checking them on the left side and clicking on the Add to Menu button. 4. 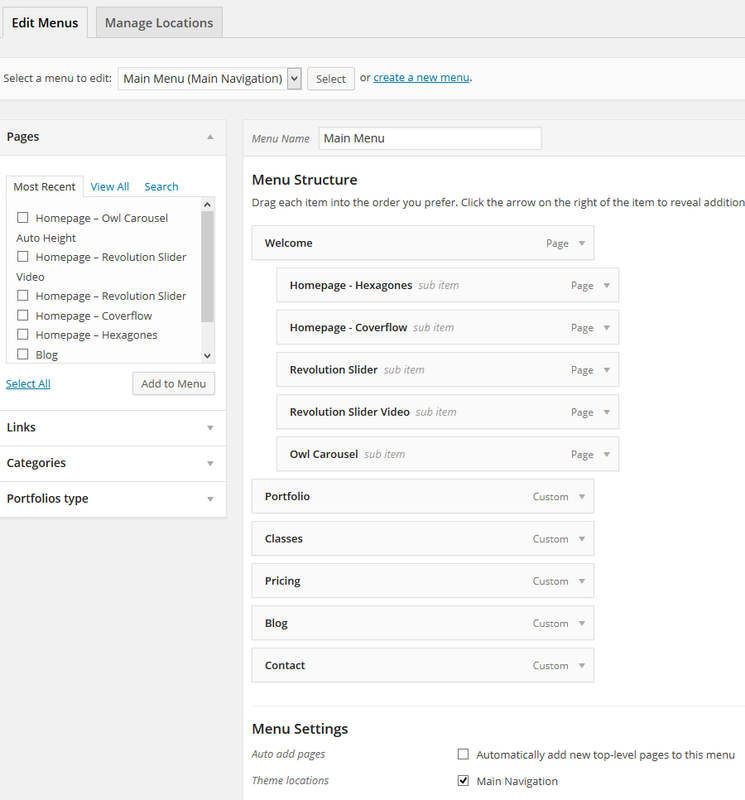 On the bottom of the page assign the menu to the Main Navigation section as in the above picture. 5. Hit Save Menu button on the bottom right corner of the page. In order for the links to work properly the section id must match the URL. Suppose we have in homepage the [section id=”portfolio“], then in the URL menu field we must have #portfolio.